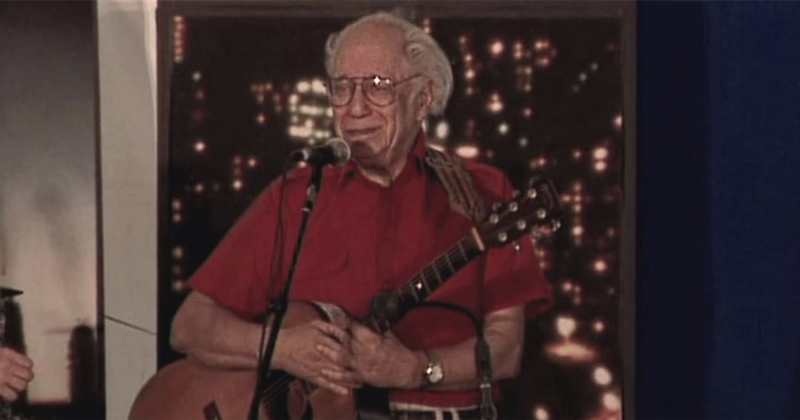 Collector Records founder Joe Glazer performs at the 2001 Smithsonian Folklife Festival. Since the Industrial Revolution, working people have been organizing and campaigning for better treatment from their employers. The labor movement and its unions struggle for fair wages, safe working conditions, and many other benefits. Music is an important tool in the labor movement to motivate workers and help build solidarity. 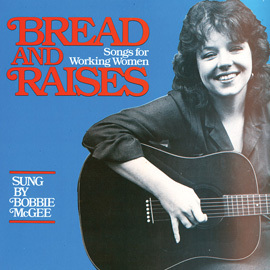 Labor songs detail political issues, glorify martyrs and heroes in the movement, and, most of all, inspire and uplift workers. 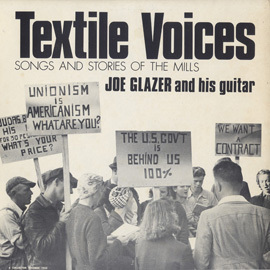 Joe Glazer (1918–2006), often called "Labor's Troubadour," has spent a lifetime as one of America's noted historians of labor song. His booming baritone and exuberant guitar have performed exuberantly for millions of workers, strikers, and students. He is the author of several significant labor songs, notably "The Mill Was Made of Marble," which is a commentary on the need for cleaner, safer mill conditions for textile workers. In addition to his performing, he was employed by the United Rubber Workers, the Textile Workers Union of America, and the United States Information Agency over the course of his career. 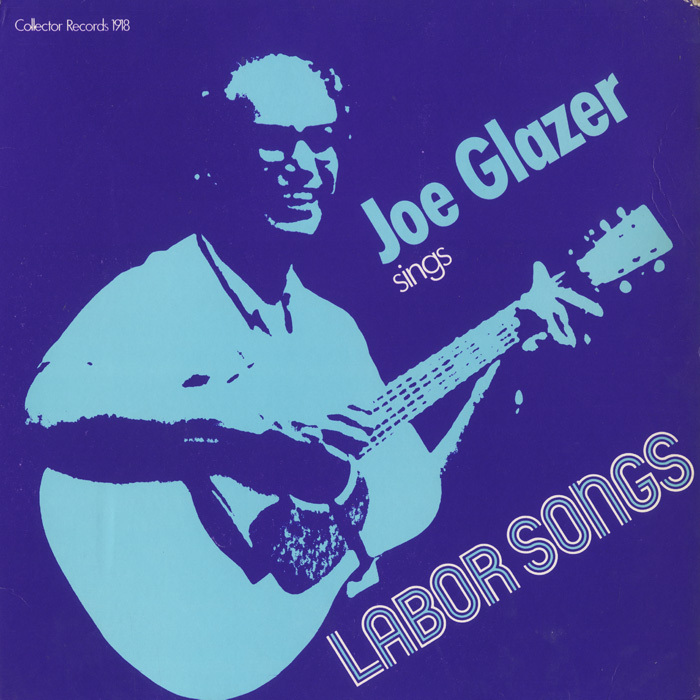 Glazer founded Collector Records in 1970 to distribute his own recordings of labor songs and those of younger and newer performers he had met through his work—many of them through the Labor Heritage Foundation, which he founded in 1978, and its yearly Great Labor Arts Exchange. Some artists, such as Bobbie McGee, went on to become well-known folk singers, but many Collector artists remained at their jobs. Eddie Starr (1956–2003) was a third-generation Illinois steelworker who declined a life on the road as a rock musician, and took a factory job at home to support his family. 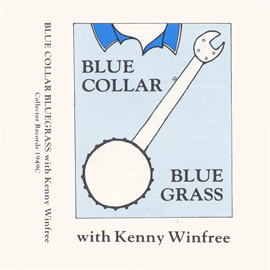 Kenny Winfree was a textile worker when Glazer heard his bluegrass-style labor songs. He continues to work, now at an aircraft plant in Texas, where he is an active member of UAW Local 848. Collector Records paints a clear picture of workers' struggles. Songs depict everyday hazards and ailments encountered on the job, allowing workers to express their situation and make audiences aware of their plight. "Cotton Mill Colic" is a classic folk song written in 1926 by David McCarn, a textile mill worker in North Carolina, that describes the harsh conditions and low pay of mill-working life. The steelworker in "Corrido Minero" sings about the ever-present danger of working in a mine with outdated equipment. Newer workplace issues are expressed in labor songs as well. The worker in John O'Connor's song suffers from carpal tunnel syndrome, one of the most frequent of modern workplace afflictions, occurring among those who perform a great deal of computer data entry and causing extreme pain in the hands and arms. Collector Records is a historic collection presenting music to inspire and motivate working people. The Glazer family donated the label's recordings to the Smithsonian Center for Folklife and Cultural Heritage in 2006. 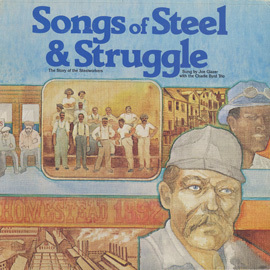 "Solidarity Forever" is the most popular union song on the North American continent. Ralph Chaplin (1887-1961), the Industrial Workers of the World poet, artist, writer, and organizer, was inspired to compose it in 1915, after helping the coal miners during the great Kanawha Valley Strike. It is still sung at every union rally. 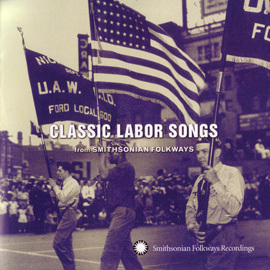 Includes labor songs from Woody Guthrie, Hazel Dickens, Paul Robeson, and Collector Records. Dramatic tribute to the Industrial Workers of the World songwriter and activist Joe Hill.